My website is back to normal now after the recent outages. My hosting company changed some settings, so I had to change some settings in my web application to make it work again. RSS is back online and the site is optimized for fast navigation again. Yey! 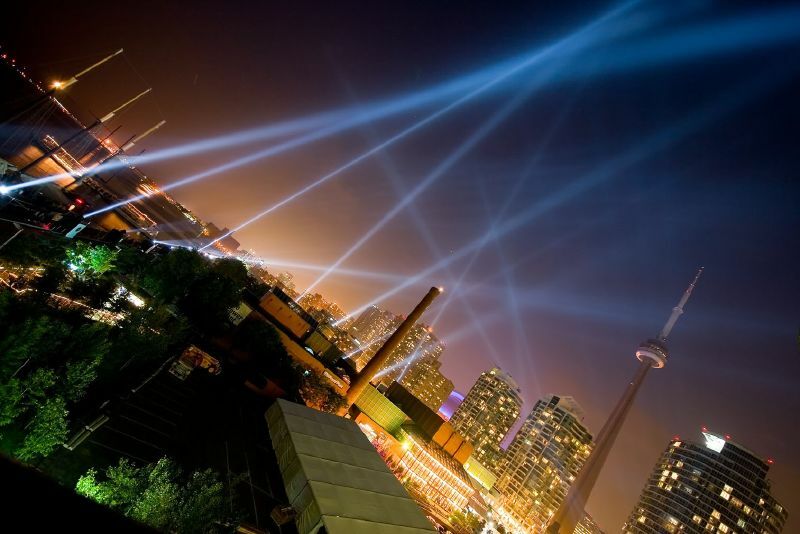 The Toronto Harbourfront Centre presented the LuminaTO - Pulse Front event. I managed to take this photograph from a sheltered area as it was raining quite heavily. The CN Tower will be lit this Thursday with brilliant energy-efficient LEDs. I have already seen them during the tests, but it will be great to get shots where they are demoing the different variations.